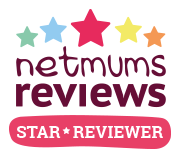 As a mum to three children I am run off my feet and when it comes to mealtimes I want to make something, quick, easy and healthy that the whole family will enjoy. 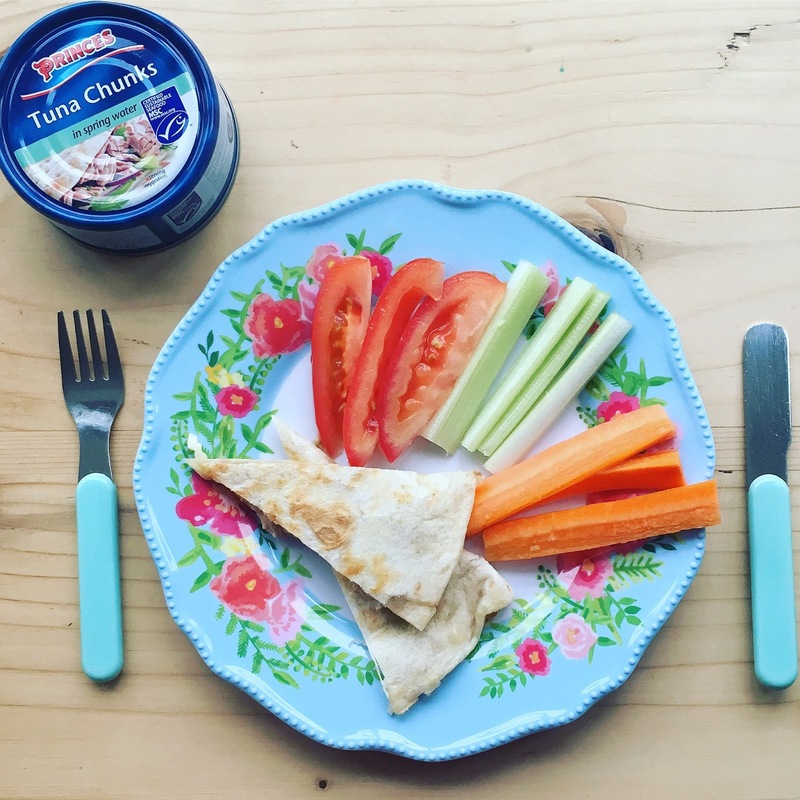 Princes Tuna sent us some of their new Tuna Fillers to try along with their store cupboard staple 'Tuna Chunks in Spring Water' all of which offer a great solution for busy parents looking to provide nutritious, tasty meals with minimum fuss. We put them to the test and have two simple meal ideas to share with you. There are two yummy ready made tuna filler flavours - Mexican Tuna with kidney beans in a spicy dressing and New York Deli which is tuna mixed with sweetcorn and a cool mustard mayo; both are perfect for serving with something like a jacket potato. 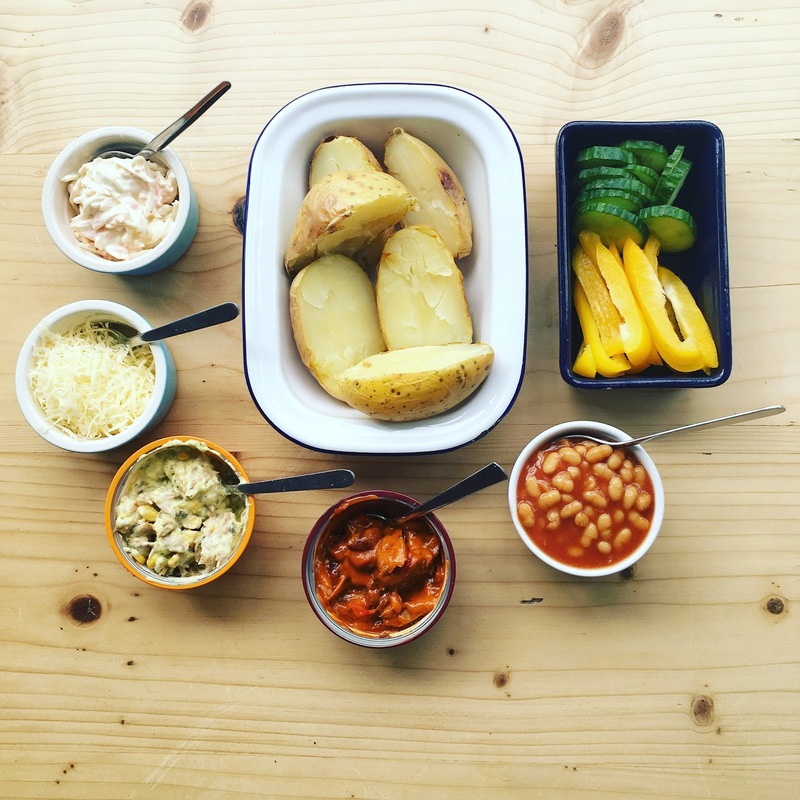 We quite often have jacket potatoes on a weeknight after school because they are just so easy. 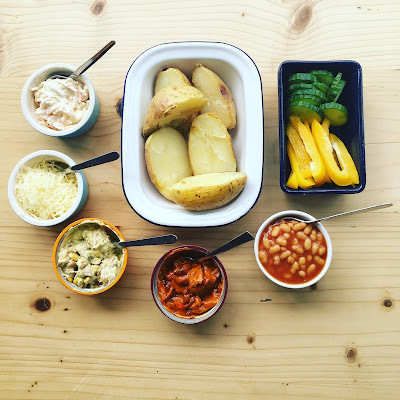 They are also really flexible meaning I can put bowls of several different fillings on the table and everyone can choose their favourite, making it a fuss free dinner that we all enjoy. The fillers come in tubs that look like little ramekins so you can just open them up and add them to the table and enjoy them this way. My favourite thing about them is that they are high in protein and low in saturated fat which is really important to me when making a meal for my family. Tuna is a great go to base for a meal as it's good for you and you can just do so much with it, whether it's baked potatoes, a pasta bake, sandwiches, wraps, bagels or in a salad... the list goes on. You can be as creative as you want with it and tailor it to your family's tastes. The thing I love about the Princes Fillers is that they are ready to go when you get in from the school run, back late from a day out or if you're just tired after a long day and want to rustle something up that you won't feel guilty about serving up. You can simply grab a couple when you are doing your food shop and keep them in the cupboard for when you need them. We also really like the Princes Tuna in fresh spring water as it's really easy to add to your own recipes and something you can keep in the cupboard and throw in to a meal. Quesadillas are a firm favourite in our house as they so simple to make, (especially if you normally have a child climbing up your leg when you are cooking like I often do) and the girls really enjoy them. You can add anything to them but I find tuna and cheese is a really yummy (and winning) combination. Simply heat a large pan and add a tortilla wrap, sprinkle with grated cheese and Princes Tuna then put another wrap on top, after a few minutes flip the wrap over and heat in the pan until the wrap is crispy and golden. All the cheese and tuna will have deliciously melted, joining the two wraps together. Leave to cool for a few minutes then slice into triangles and serve with crudites like carrot sticks, celery, cucumber, peppers and tomatoes. 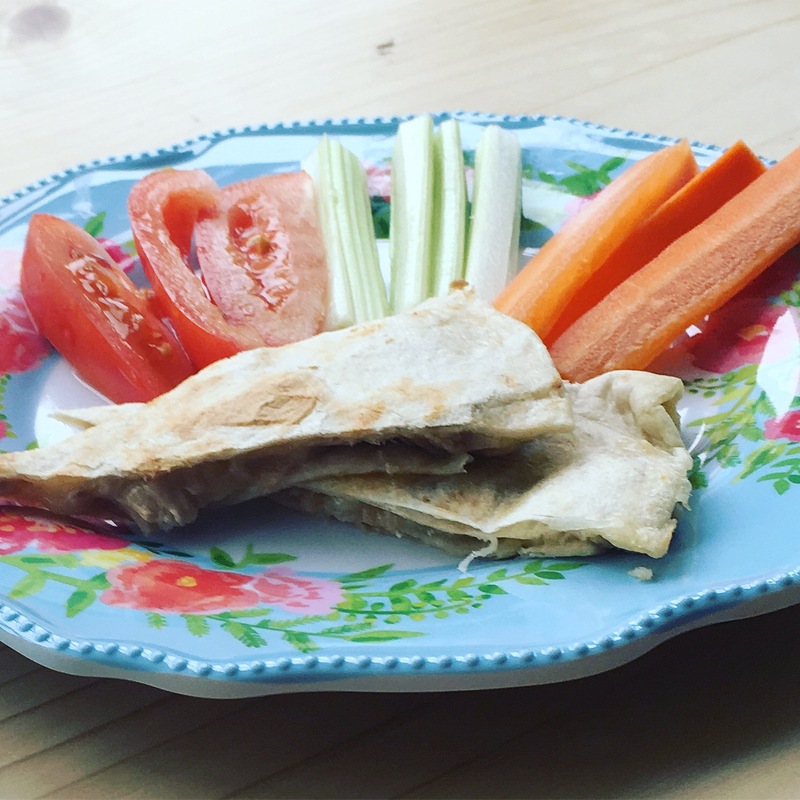 A healthy and nutritious meal ready in just minutes that the children will love! I hope that's given you a little bit of tea time inspiration. If you have any ideas for recipes I'd love to hear them.